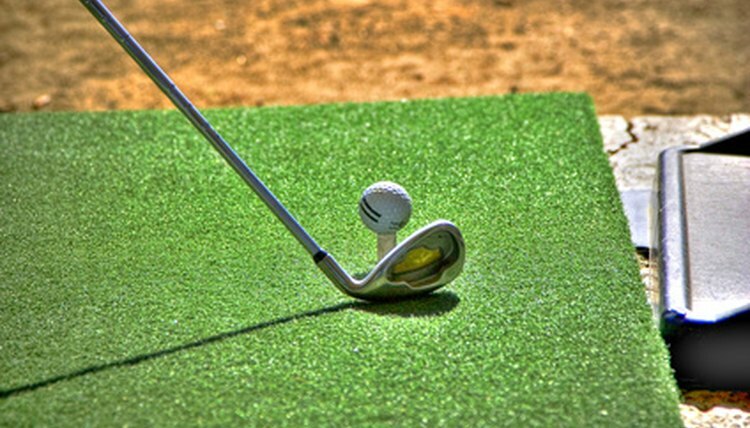 A standard iron has a face shallower than that of a hybrid iron. Hybrid clubs are, as their name implies, a hybrid between an iron and a wood, seeking to take some of the benefits of one and apply it to the other while minimizing the sacrifices made. When choosing a hybrid, a golfer must weigh these trade-offs to determine the best match. Hybrid woods are used to replace the woods of the corresponding number, meaning that a hybrid 5-wood will have the same loft as a regular 5-wood. The major advantage of a hybrid wood is the accessibility of the club. As the depth of the face is larger than an iron, but not quite as deep as a standard wood, a hybrid wood is capable of getting out of more difficult terrain than a standard wood. While a normal wood might struggle to get to the ball in a dense patch of rough, the narrower face of a hybrid can cut through and get to the ball. As a trade off, the shallower face brings the sweet spot slightly closer to the face, making it slightly harder to hit perfectly. Hybrid irons take the place of the iron of the matching number, just as hybrid woods do with standard woods. The pros and cons of a hybrid iron against a normal iron work in reverse to the pros and cons of hybrid woods. While the increased thickness of the face makes the club less suited to very thick rough, the extra thickness also makes control over the ball easier for the player, as the sweet spot is farther back. This extra control over the ball will decrease the frequency of shots which are not hit clean, as well as shots that hook or slice out of control. Ideally, a player should test clubs at the range to determine which clubs are best suited for his bag. The positives and negatives should be weighed based on the consistency with which the clubs can be hit. If a player is able to hit his hybrid wood with a similar consistency as he can hit his standard wood, then the hybrid will be an advantage in his bag, as he will be able to hit from more places without losing control of the club. Similarly, a player that has no problems hitting a 3-iron may be better suited to carrying it and its narrower face, while a player who struggles with the 3-iron, who has better results with the hybrid, should carry the hybrid rather than carry an iron he does not feel comfortable hitting.